INSULATED - Made of high quality materials keep food warm or cold up to 3 hours. Square bottom keeps food upright, neat and secure. Save money by bringing your own food vs. take out. EASY TO CLEAN - Simply wipe down inside and out as needed with a clean, damp rag. Made of high quality PVC, BPA, lead and phthalate-free materials; durable construction, will last for years. ADJUSTABLE STRAP - This stylish bag rides easily on your shoulder, keeping your hands free; the comfortable strap can be easily adjusted. The zipper operates smoothly and reliably. SPACIOUS - At 10"x7"x7", you can easily pack your lunch and a few extra snacks for the whole day. There is plenty of room in the compartment. MONEY BACK GUARANTEE: If you decide the product isn't for you at any time in the first 6 months, you'll receive a full refund of your purchase price. 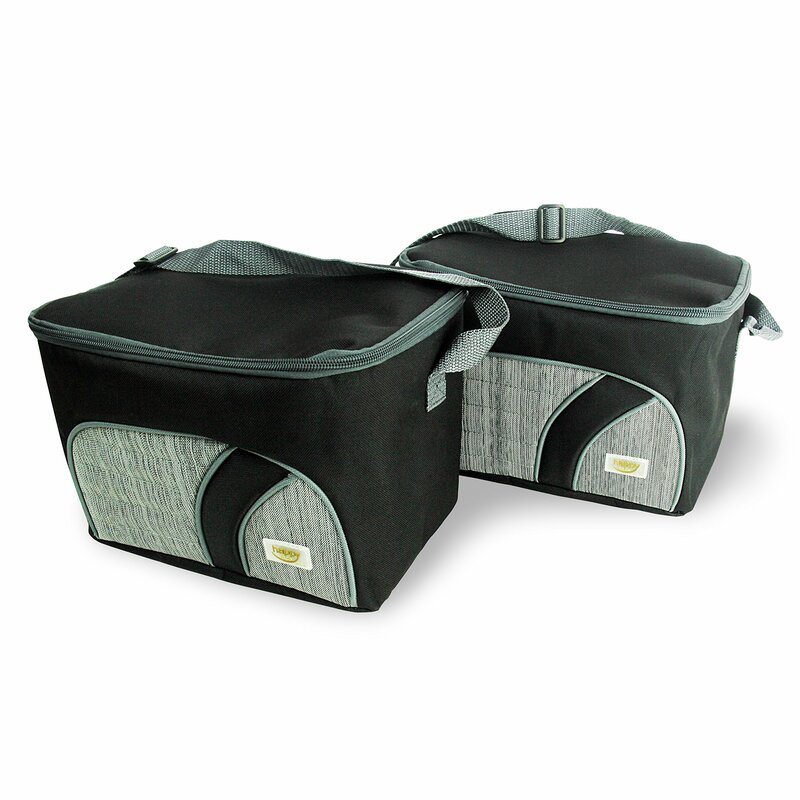 Size:Set of 2 Say goodbye to lunch carriers that become a jumbled mess by thetime you arrive at your destination. With these lunch bags your creations willlook as yummy as when you packed them! You'll have plenty of room forcontainers, drinks, ice block, whole fruit and extra snack. No more strugglingto fit your lunch into your bag. Our functional, zip-shut insulated coolerwill hold even a whole day's worth of food and keep it fresh. Features: -High quality cotton, 600D and PEVA lunch bags set of 2. - Very stylish bags;neutral and perfect for men or women. - Top zipper closure, fully thermalinsulated interior will keep food hot or cold for up to three hours. - Easy toclean and wash, reusable. It reduces waste; a smart solution to plastic orpaper. - Size: 10x7x7 in. - Capacity: 8 L. These lunch bags is great for roadtrips, plane rides or any time you're on the run and need to keep your foodwarm or cool. So easy to carry meals along. They are also perfect for anyoutdoor activities. This is a practical way to carry meals, snacks and saveon eating out!